Grow Island is a free online game available at Hooda Math that requires you to create an environment on an island that results in the best possible technological efficiency and outcome. 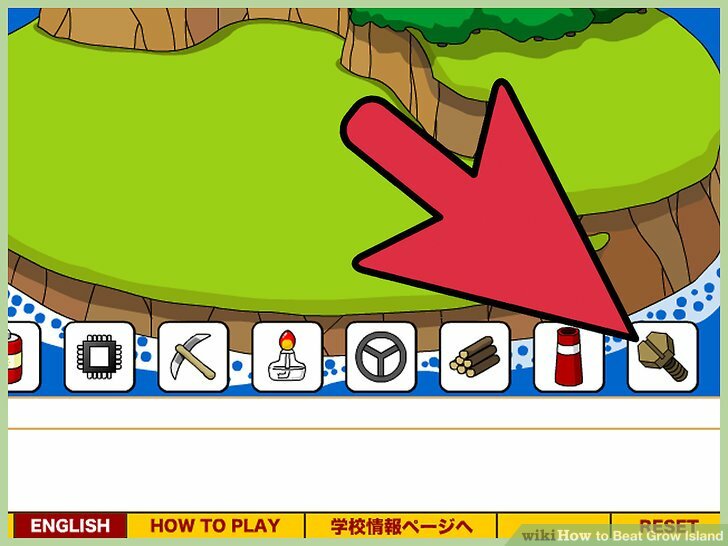 The order in which you click on icons to build the island will determine the outcome of the game. There are two possible endings to Grow Island: the traditional ending, and the UFO ending. Navigate to the Grow Island game on the Hooda Math website at http://www.hoodamath.com/games/growisland.html. 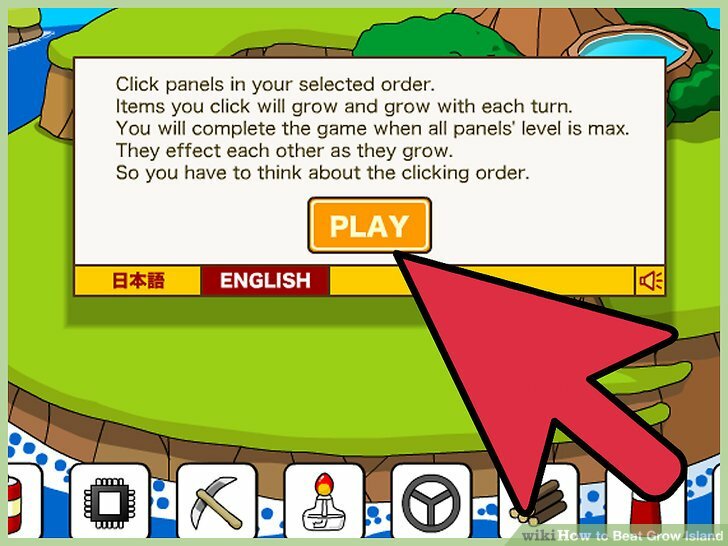 Click on “English,” then click on “Play. ” The game will begin. Click on the “Mechanical Engineering” icon. This is the icon located to the far right that features a bolt. A single bolt will appear on the island. 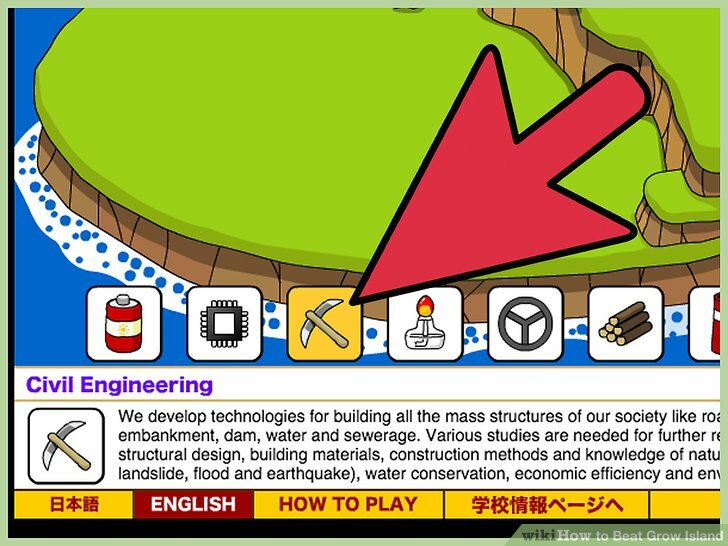 Click on the “Civil Engineering” icon, which features a pickaxe. A little man will use the pickaxe to construct a road on the island. Click on the “Architecture” icon, which features a pile of logs. The little man will use a paving machine to pave the dirt road. Click on the “Aeronautics” icon, which features a steering wheel. The little man will use a sword to carve a dock on the left side of the island, and a small house will appear on the right side of the island. 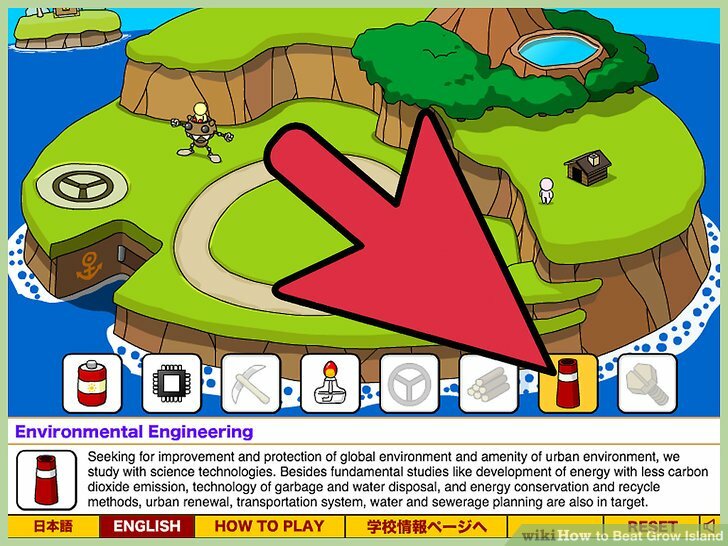 Click on the “Environmental Engineering” icon, which features a red smokestack. The little man will build a river, and offer flowers to the woman living in the home. An automobile will appear on the island and start driving on the paved road, while the home grows larger in size. 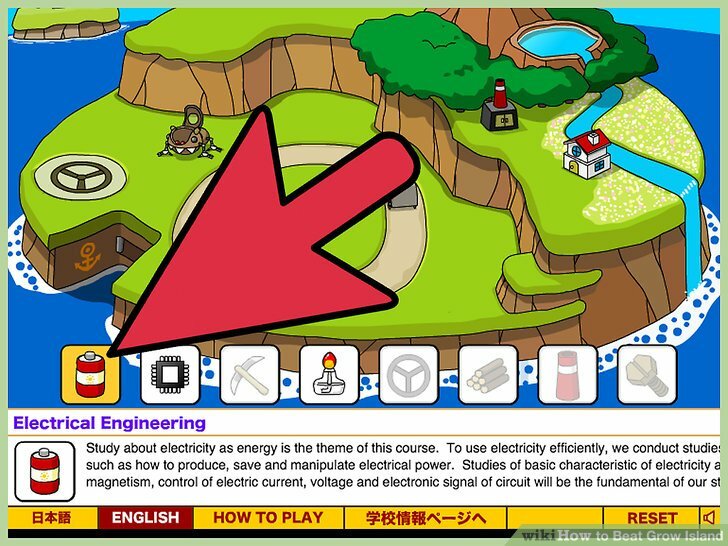 Click on the “Electrical Engineering” icon, which features a red and white battery. The little man will bulldoze a tunnel into the mountain, and a ship will land at the dock. 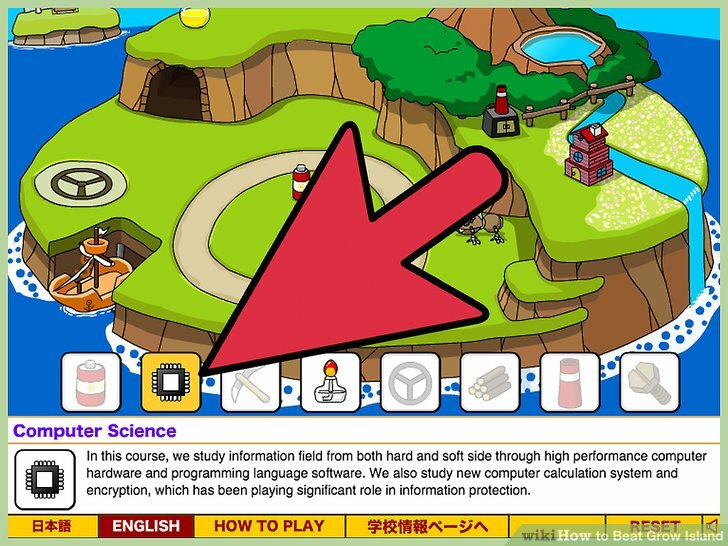 Click on the “Computer Science” icon, which features the image of a microchip. A computer will appear near the top of the island, along with a road that leads through the tunnel, and a rocketship. 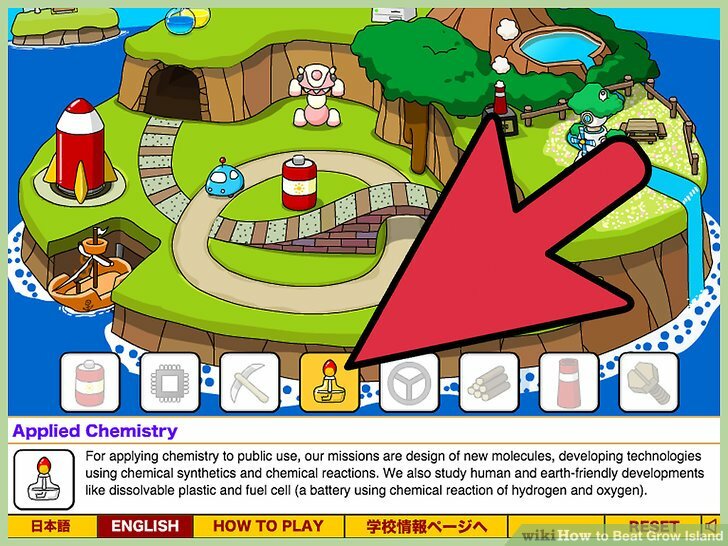 Click on the “Applied Chemistry” icon, which features the image of a Bunsen burner. The little man will enjoy a picnic lunch with his family while the island’s technology continues to improve. You have now achieved maximum points, and have beat Grow Island. Click on the “Aeronautics” icon, which features the image of a steering wheel. A steering-wheel landing pad will appear on the left side of the island. 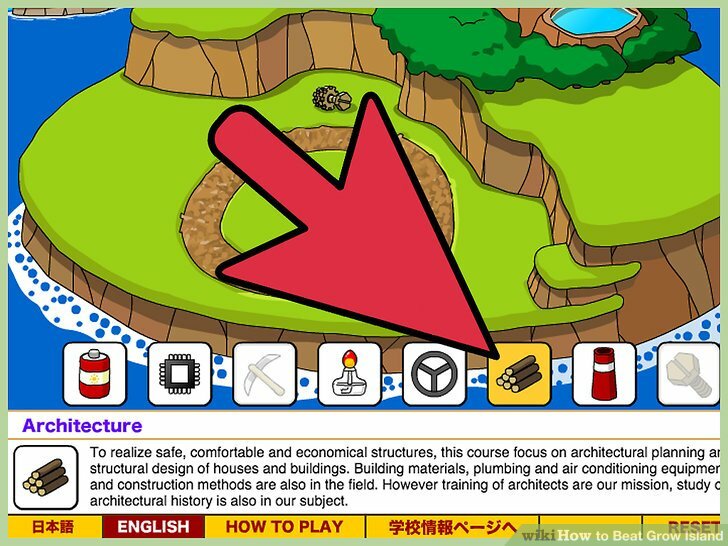 Click on the “Civil Engineering” icon, which features the image of a pickaxe. A little man will use the pickaxe to create a dirt road. A small pile of logs will appear on the right side of the island. A computer will appear near the top of the island, and a woman and her home will replace the pile of logs. A battery will appear near the dirt road, and the man will build a river behind the house. Click on the “Mechanical Engineering” icon, which features a bolt. The home will grow larger, and the man will cut away a series of trees located to the left of the home. A Bunsen burner will appear on the island, and an alien ship will turn the man into a green alien. The house will also be converted into an alien-like space home. 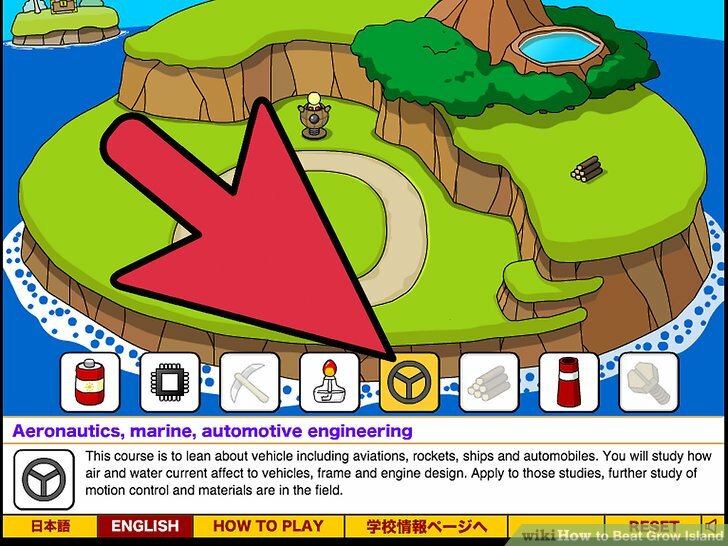 Click on the “Environmental Engineering” icon, which features a smokestack. A group of aliens will leave the home, teleport onto the dirt road, and start dancing. You have now achieved maximum points for the UFO ending, and have beat Grow Island.